Thank you to everyone who has helped to support the campaign against Brexit and the damage that it will do throughout 2018 - it has been an extraordinary ride and few would have thought that things could end up quite this bad. Whilst it is right to give people a break from organised campaigning over Christmas, there will surely be millions of conversations over the turkey or mince pies, up and down the country on what the future holds for us, and hopefully some people will realise that a People's Vote, and remaining in the European Union, is the only sensible way forward. We will be holding a European Movement campaign meeting at Slug and Lettuce in Winchester at 6.30pm on Monday 7th January. There will be a national campaign day for a People's Vote on Saturday 12th January ahead of the likely meaningful vote in parliament - events are planned for Basingstoke, Romsey and Eastleigh - more details to follow. Keep an eye on your inbox for updates, and also our Facebook and Twitter channels. 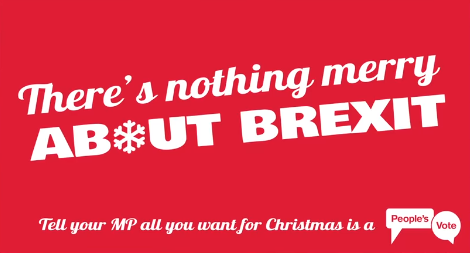 The People's Vote campaign have created some great video graphics for the festive season, to share on social media over Christmas - you can share them on Facebook or Twitter by following the links. 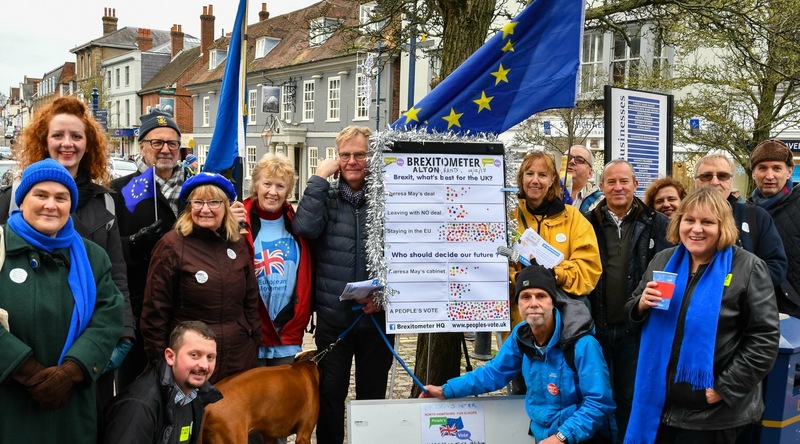 You can read a report on our joint street-stall with North Hampshire for Europe in Alton a few weeks ago [pictured above, left] here. Wishing all the very best wished of the Christmas season to you, your family and friends, and hoping for a 2019 where sense prevails in our country.